Artists often ask if they need an agent to license their art, what does an agent do, what does an agent look for in an artist's work, what questions should an artist ask before choosing an agent, and what should they look for in a contract before signing on with an agency. Whether to hire an agent or not depends upon the artist's business skills and how much time they wish to spend contacting manufacturers, doing continual followups, negotiating deals, and managing contracts. Below are links to articles by licensing experts stating their opinions and sharing their expertise about art licensing agencies. Use the information in the articles to make an educated decision on whether to hire an agent and hiring the right one if you decide to have an agency represent your work. To locate art licensing agencies, read "List of Over 50 U.S, Art Licensing Agencies". Does an artist need an agent? • "Artists or Agents? Tips by Susan January" interview of Vice President of Product Management Susan January from greeting card manufacturer Leanin' Tree by artist Kate Harper. • "Questions to Ask Before Choosing An Art Licensing Agent" by agent Suzanne Cruise of Suzanne Cruise of Creative Service, Inc.
• "Agent Appreciation Day" by artist Jane Mayday. 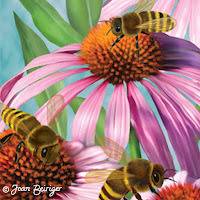 • "Computer Technology Helps Art Licensing Agency" by agent Laurie High of V.P. Creative Connection, Inc.
What does an agent look for? 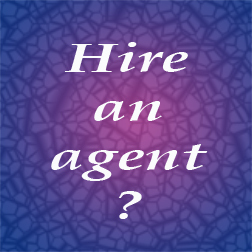 • "What does an agent look for? Advice from Jim Marcotte" interview of agent Jim Marcotte from Two Town Studios by artist Kate Harper. What to look for in an artist/agency agreement?